Peacefully at age 94, with her daughters by her side. Predeceased by her husband Kenneth William (1993), WWII veteran. Much loved and cherished mother of Valerie Dunlop and husband Ted, and Deborah Perl and husband John. KOWALCHUK, Reginald - It is with heavy hearts that we share the sudden passing of our dearly loved husband, father, grandfather, brother and friend on October 18, 2018. Reg was born on April 30, 1942 in Winnipeg, MB, to Mary and William Kowalchuk; eldest son and older brother to Gordon, Elizabeth and Rosemary. STENHOUSE, Mary "Molly" (nee MAGILL) - 1923 - 2018 Passed away peacefully in her sleep at home on October 18th. Loving mother of Sheryl (Ken) Hagerman and Linda (Mel) Hardy. BEWLEY, Clara Elizabeth (Betty) (nee MEHER) - Born May 16, 1937 passed away October 18, 2018 after a battle with Parkinson's Disease. Wife of the late Anthony (Tony) Bewley. PAULINO, Maria - God called Maria peacefully on October 18, 2018 at the age of 90. She is reunited in heaven with her beloved husband, Norbert. Dear sister of Maria (Manuel). Cherished aunt of Maria, Jennifer, Gary, and Michael. Our beloved father passed unexpectedly at home in his 89th year. 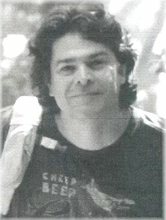 Beloved husband of the late Adua Bortolotto (2005). Flor Morales was born on December 1, 1926 and passed away on October 18, 2018. LEONARDO, Maria Irondina - Passed away peacefully with family by her side on Thursday, October 18, 2018. Loving wife of the late Jose. Devoted mother of JL and Eddie (Janet). Survived by her dear sisters Filomena in Portugal and Fatima in Canada. 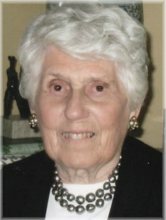 SMITH, Hilda Alice - Passed away peacefully on Thursday, October 18, 2018 at the Leacock Nursing Home, in Orillia in her 96th year. Beloved wife of the late George Smith. Loving mother to Thomas and wife Patricia, Cathrine Smith, Jack and wife Debbie. Sadly missed by her grandchildren Ronald Smith (deceased), Christine Matson, Wayne Matson, Karen Southwood, Tyler Smith, and Shelby Alexander. BUTLER, Doris Violet - Age 94, passed away peacefully in Stratford on Thursday, October 18, 2018. Born in North York to the late Albert and Violet Hinchcliffe. Predeceased by her beloved husband Roy. 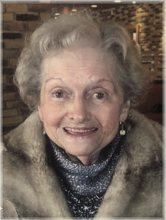 COSENS, Catherine (Betty) (nee LEVICK) - It is with great sadness that we announce the passing of Betty after a brief illness. Predeceased by her loving husband Ron and her siblings Harold, Fred, Bill, Helen and Frank. GINSBERG, Murray - Peacefully in his 97th year, surrounded by family on Thursday, October 18, 2018 at Sunnybrook Veterans Centre, K Wing. 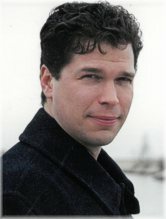 Murray Ginsberg, acclaimed Trombonist and Musician with the Toronto Symphony Orchestra and the Murray Ginsberg Orchestra and successful author of They Loved To Play. IUSTINI, Marie Thérèse Mathilde (nee GRAND) - Peacefully passed away on Thursday, October 18, 2018, at the age of 81 after a courageous battle with cancer. She will be dearly missed by her husband of nearly 60 years, Vincenzo Iustini, her children Daniel, Madeleine (Bruce), Michel (Jenn), grandchildren, Stephanie, Laura and Bentley and her faithful companion Georgette. Johanna passed peacefully at the age of 94 while in Lakeridge Health Oshawa Hospital where she was surrounded by her loving family. Our mother was a wonderful mother, she was a fabulous Gran and Great-Gran. She was a kind, caring, gentle lady with a great smile, who was so generous with her time for all family, friends and even strangers she would meet. Blake lived with a simple goal of being a good man. Those that loved him know that his intention was realized and will be forever grateful to have been part of his life journey. His 30-plus years as a restauranteur left hundreds with the memorable experience of Blake's quick wit, sharp sarcasm and incredible charm. 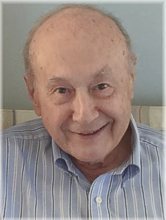 ALBINO, Carmine - (June 22, 1934 – October 18, 2018) - Passed away peacefully on October 18, 2018 at Toronto Western Hospital surrounded by his children. 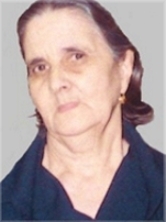 Carmine is predeceased by his beloved wife Lidia Pierina of 34 years. Together they had 2 loving children Raffaele (Giulia), Antonella (Giuseppe). Beloved Nonno to Luca, Emma and Lidia. 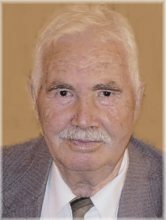 CHATZIS, Ioannis "John" - Passed away peacefully at Mill Creek Care Centre on Thursday, October 18, 2018 at the age of 89. Loving husband of Alexandra (nee Nitsopoulos) for 65 years. Cherished father of Niki Giamos (Chris), Danny (Karen) and Fene Campbell (Colin). TAYLOR, William “Bill” Murray - August 1, 1934 – October 18, 2018 - Suddenly at Markham Stouffville Hospital on Thursday, October 18, 2018 at the age of 84. Beloved husband of Arlene for 54 years. Predeceased by his parents Bill and Della, and sister Barbara. Will be remembered by his niece Sherrie (Pierre), brother Bernard (Dayle) and family. It is with great sadness we announce the passing of Sean Timothy Fox. Sean died peacefully in his home in Mississauga, surrounded by his family and friends, after a courageous battle with cancer. Devoted husband of 17 years to Mary (nee Vlasic).